Fill large bowl with popcorn. 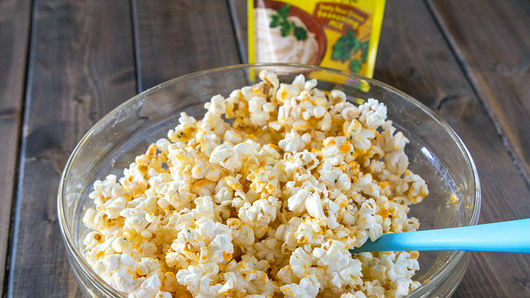 Pour melted butter over popcorn, tossing to coat. In small bowl, stir together seasoning mix and Cheddar cheese powder. 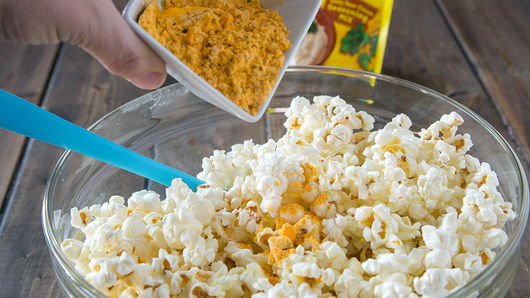 Sprinkle mixture evenly over popcorn; toss until popcorn is well coated. Serve immediately. If you like it spicier, add more of the zesty seasoning mix. 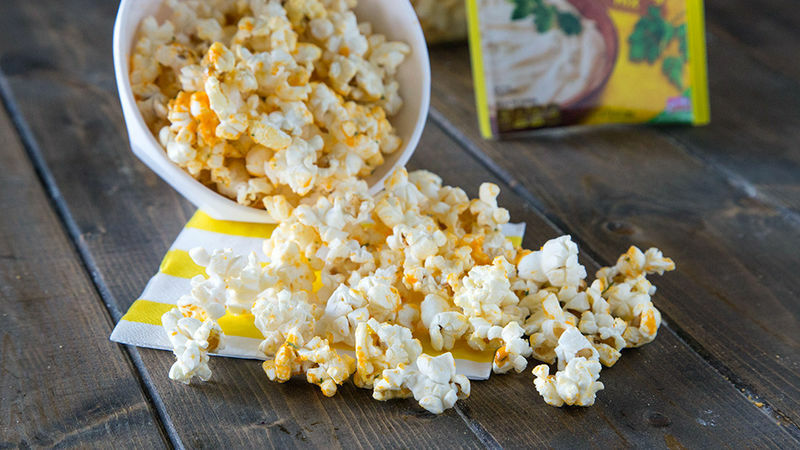 Use a bag of microwave popcorn if you don't have an air popper.